(HealthDay)—If you have surgery on your calendar, don't wait until the last minute to start preparing, especially if you're going to need anesthesia. Stop taking unnecessary medications. Only use necessary, approved prescriptions ahead of time. If you have had or currently have a problem with alcohol or drug abuse, tell the anesthesiologist. He or she will need to consider possible drug interactions that could affect your safety during and after surgery. Halt herbal supplements. Discontinue using alternative medicines at least two weeks prior to surgery. Some herbal products can cause complications during and after surgery, such as dangerously high or low blood pressure. Disclose your family medical history. Tell your anesthesiologist about any complications that are common in your family, such as malignant hyperthermia or reactions to certain types of anesthesia. Ask family members about this if you're not sure. Malignant hyperthermia is a life-threatening reaction to certain drugs used for general anesthesia. Provide your medical records. It's important to mention if you've ever had a reaction (such as nausea/vomiting) to an anesthetic drug. Also be sure to make a list of any existing medical conditions, such as diabetes, asthma, or allergies to medicines or to latex. Do your homework. Learn about the type of anesthesia that will be used for your surgery, including potential side effects. Find out if any might signal the need to contact a health care provider afterward. 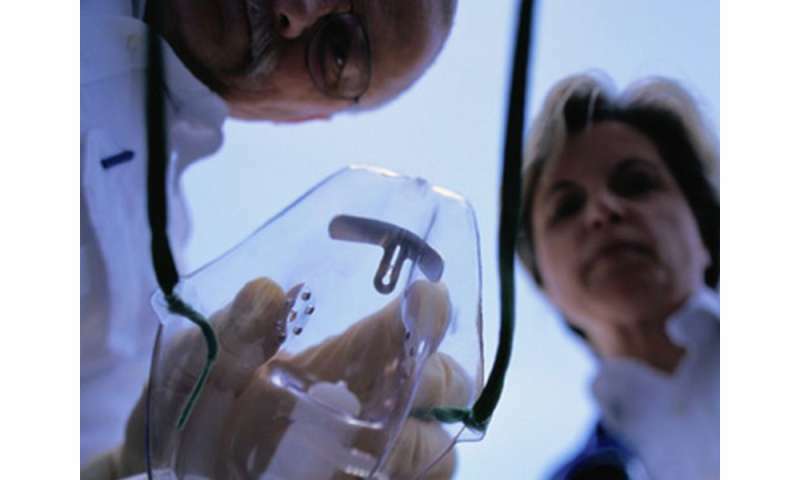 The U.S. National Institute of General Medical Sciences has more on anesthesia.